Successfully Added 3.5 Inch Rugged Android Phone "Titan" - Water Resistant, Shockproof, Dustproof (Black) to your Shopping Cart. 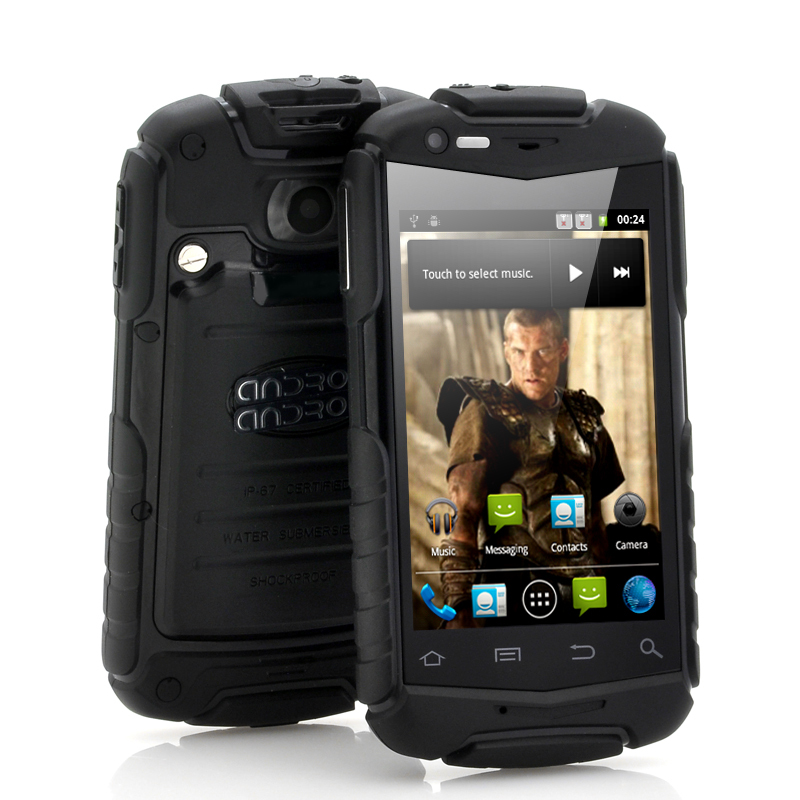 3.5 Inch Rugged Android Phone is ready for anything with it being IP53 water resistant, shockproof and dustproof. Be warned because Chinavasion is releasing the “Titan” rugged Android phone. This is a strong and durable phone that has been designed with simple but effective features to keep as a contender in the high street stores, but an essential must have accessory when venturing out into the wild. With a conveniently sized 3.5 inch screen, the “Titan” fits in the palm of the hand but is screen is clear enough to view the display and read the news. This “Titan” phone has beauty, brains and brawn. Due to having a slim design it is not as bulky as regular rugged phones and it is stylish as well. The brain of this phone is an Android operating system that allows you the opportunity to customize options and instant app downloads from the wealthy Google Play store. The user interface is refined in many ways across the system, making it easier to learn, faster to use, and more power-efficient. A simplified visual theme of colors against black brings vividness and contrast to the notification bar, menus, and other parts of the UI. Install any app such as YouTube, Facebook, Angry Birds or Twitter and the “Titan” will run and control it with ease. The brawn of this phone is the fact it is water resistant and dustproof plus with a rubber exterior casing making it shockproof. The “Titan” is not just sturdy and tough but also has a water resistant rating of IP53. This water resistant level indicates that this phone is protected against a limited amount of dust ingress and also a water spray from under 60 degrees from a vertical level. The “Titan” even has a rear and front facing camera so that where ever you decide to venture too you can take a snap and lets you remember the journeys and adventures. Connect to the web using the WiFi N connectivity ability, which is faster and more efficient connection of WiFi than previous versions. 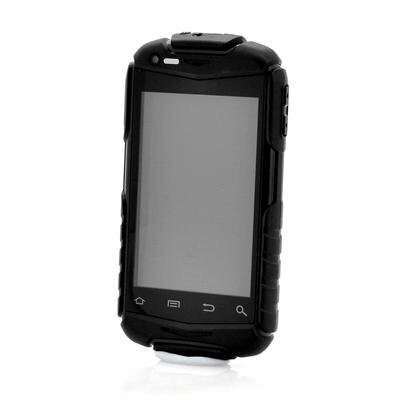 The two GSM SIM card slots allow you to separate business and personal life, while using this trusty ruggedized phone. Designed to face the elements and also maintain a convenient size and style, this Android phone otherwise known as the “Titan” is ready to accompany you on the next quest. This product is in stock and can be dispatched within 24 hours of ordering with a 12 month warranty. Brought to you by the leaders in wholesale electronics and Android phones, Chinavasion. I love this 3.5 Inch Rugged Android Phone so far. The Product being an IP53 water resistant will be truely tested when i get caught up in rain but i don't want to try and immerse in into a basin or pool of water, lol. shockproof and dustproof part of it is most likely to work because of how its sealed. Very impressed with the phone! Good battery life, and so far very stable. Thanks for fast delivery, i m very pleased. Everything was like in description.And a good price!! no bad points.no bad points.no bad points.no bad points.no bad points.